The Baylor Youth Foundation (BYF) is a 501 (c) 3 not-for-profit organization formed to provide a safe, nurturing and engaging environment where at-risk urban youth are encouraged to develop their full potential through participation in athletic competition. The athletic sporting events proceeds fund the foundation's mentoring programs. The Baylor Youth Foundation proudest achievement is a 100% High School Graduation rate and about 99% our mentored youths enter institutions of higher learning. In 2001, Coach Baylor saw that children in the community were at-risk of succumbing to negative influences and the pressures of living in an urban environment. She recognized that these children needed an avenue to build their self-esteem, and enrichment activities that would give them a sense of belonging and community participation. Coach Baylor formulated a plan for including these youth into her athletics program. In 2001, she formed the Baylor Ballers, which consisted of 15 local high school students who were interested in playing sports. She taught these students the principles of teamwork and commitment. She engaged the students in activities designed to develop life skills such as cooperation and conflict resolution. Team members were held to a level of responsibility and accountability. They participated in structured educational activities and had to meet demanding rehearsal schedules. 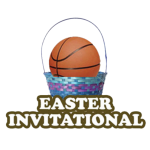 After they developed a cohesive team, they were permitted to compete in the basketball events. 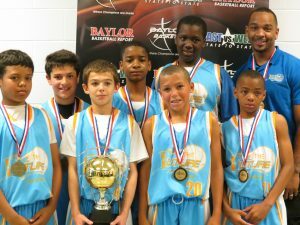 The Baylor Ballers became an All-star basketball team and won numerous awards and championships. Coach Baylor also introduced these youth to artistic, cultural and social programs designed to make them aware of life's possibilities. Coach Baylor also had a desire to expand the mentoring program beyond the Northwest Indiana region. As a result, the Baylor Youth Foundation mentoring program grew to form eight (8) local teams and three out of state teams. The Foundation placed advertisements in local newspapers for participants to join traveling teams affiliated with the AAU Youth Sports Program. After holding tryouts to access skill levels, youth were chosen to participate on the various teams. Baylor teams were formed in Northwest Indiana, Missouri, Wisconsin, and Illinois. In addition, Coach Baylor supports over 5 other local youth programs in Gary, Indiana with traveling expenses, gym rentals and sporting merchandise. In 2011, we will be starting our first track & field program. In order to confront the epidemic levels of high school dropouts in these communities, a major eligibility criteria to participate on the traveling teams was that the child has to be enrolled in either elementary, middle school or high school. Coach Baylor always stresses the importance of completing school. The Baylor Youth Foundation encourages students to focus on their studies and maintain good grades. Maintaining participation on the Baylor teams serves as a strong motivation factor for staying in school and obtaining a diploma. However, if a child falls behind in their grades the BYF provides tutoring services and mentoring through the Baylor College Prep Program.The Baylor College Prep Program was developed as a tool to help transition students affiliated with the Baylor Athletics Program between various levels of academic achievement. Baylor Youth Foundation seeks to prepare students for college entrance examinations. Individual youth receive tutoring services and attend college prep classes. BYF supplies study materials and provides financial assistance toward the SAT& ACT registration fees. BYF plans to expand this program to improve academic grades in school performance by creating tutor/teacher collaborations. Once a student is accepted into an institution of higher learning, they are transitioned into the Baylor Helping Hands Program. The Baylor Helping Hands Program is designed to assist students' transition from the Baylor College Prep Program into having a successful experience as a college student. This program provides a support system for students while they are in the institutions of higher learning.